There is a food and drink bubble in the US according to the man who made a popcorn fortune in the UK. 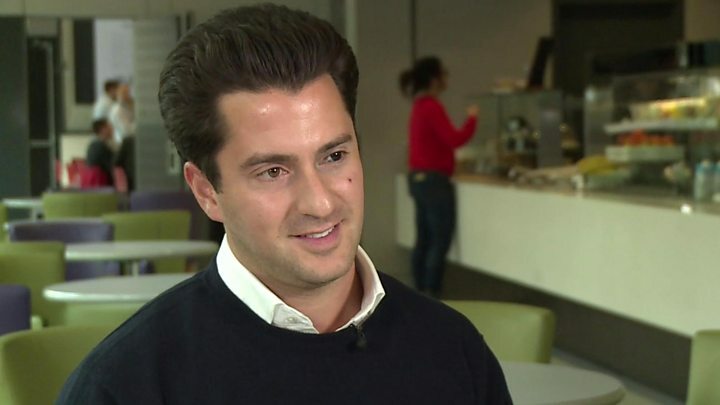 Robert Jakobi, who turned Metcalfe's Skinny popcorn into the fastest growing food brand in the UK, says the amount of private capital available to launch at new food and drink brands means that the valuations for food and drink businesses in the US is four or five times higher than comparable businesses in the UK. Not that Mr Jakobi is complaining - far from it - a voracious appetite for new food brands was one of the reasons he moved to the US to launch a new soups and stock cubes business BOU. His message to food entrepreneurs is that if you want to make a foodie fortune - go west. The US is the best place in the world to start, grow and sell a food business. Mr Jakobi knows what he is talking about. The company he founded and ran with Pret a Manger and Itsu founder Julian Metcalfe was bought by the owner of Kettle Chips and is now owned by US giant Campbells. He won't disclose how much he sold it for, but says that had he sold a similar business in the US, it would have fetched a far higher price. "There's just so much private money in the US, someone with a successful track record (like Jakobi) can raise money quite easily. "The food and drink category is becoming like the tech sector. Some of the established food and drink companies are scrambling to add fashionable disruptive brands to their product ranges so there are buyers once you get the business to a certain size. It looks a bit like a bubble and it has to cool off." The US has more going for it than just a wall of money and sky-high valuations. It is possible, according to Jakobi, to grow a business very quickly there. "Growth that would take six or seven years in the UK takes two in the US." That's despite the fact that the UK is, for now, a member of the world's largest trading bloc with 500 million potential customers in the EU nearly double the market size of the US. How come? "The EU looks like a bigger market but it moves at very different speeds and has different food cultures. "We tried to sell Metcalfe Skinny around Europe and it didn't work - many countries, Spain in particular, are many years behind the UK on food innovation and couldn't understand popcorn other than as a cinema snack". But for any artisan foodie preparing to jump on a plane to the US to be showered with money on their arrival he adds a cautionary word. It's not a question of just showing up to collect your winnings for having a good idea. A track record of success is the real door opener. "It takes millions to launch a brand in the US and If I hadn't had success with Metcalfe, I would have found it much harder to raise the money I needed for BOU". It's worth noting that US food giants Kellogg's, Mondelez, and General Mills all brought in new chief executives last year - looking for new leadership to adapt to US consumers' emerging preference for healthy food and more engaging brands. However, Mr Jakobi's observations represent a warning. A bag of popcorn looks full but it's mainly fresh air. According to this popcorn king - some US investors and the old food giants are overpaying for what they are getting.